Junior football in the Ellinbank and District Football League has been handballed a welcome sponsorship boost thanks to developer Parklea. 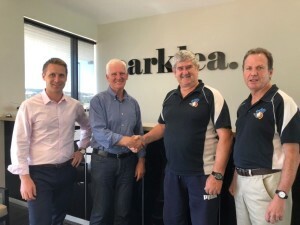 Parklea signed a 2019 sponsorship agreement with the EDFL earlier this month. EDFL president Roger Gwynne welcomed Parklea's contribution saying most of the money would be funnelled into junior development across the league. "We are delighted to have Parklea on board for what we hope will be a long term partnership for both of us," Mr Gwynne said. “I see it as a mutual partnership and a good fit as both Parklea and the EDFL have a desire to support community interests. 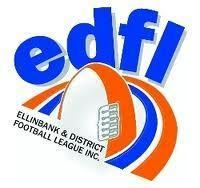 "The EDFL is very focussed on junior development and this sponsorship will further strengthen our commitment to our junior players. "This funds will help junior footballers across both tiers, under 16 and under 18, continue to develop their skills and focus on their personal growth," Mr Gwynne said. "The foundation and health of any club revolves around the development of its juniors. Mentors and coaches at footy clubs can help shape kids' lives for the future. "Furthermore, the backing from Parklea will assist the EDFL help clubs with issues such as sports chaplaincy. "We thank Parklea for backing the EDFL on and off the field." Parklea Sales and Marketing Manager Jarod Mills said Parklea was committed to community development and supporting junior sport was one of the most effective ways of maintaining healthy communities. "We are committed to giving back to the communities which surround our developments and helping young children excel in sport and keep active is something we want to encourage. We hope that providing the resources to encourage young footballers will not only help them, but also their families and the wider EDFL community, " Mr Mills said. Parklea is the developer of Timbertop Estate at Officer, Kaduna Park at Officer South and Parklands Coastal Estate at Wonthaggi among other projects. Pictured left to right is Parklea Sales & Marketing Manager Jarod Mills along with Don Welsh, EDFL President Roger Gwynne & EDFL FOM Ken Moore.